Well I think it's safe to say that summer has officially made it's way to the valley as we will be hitting triple digits later this week, ughs. Thankfully, we will be headed back to cooler weather out on our little mountain in WV in the next month or so. 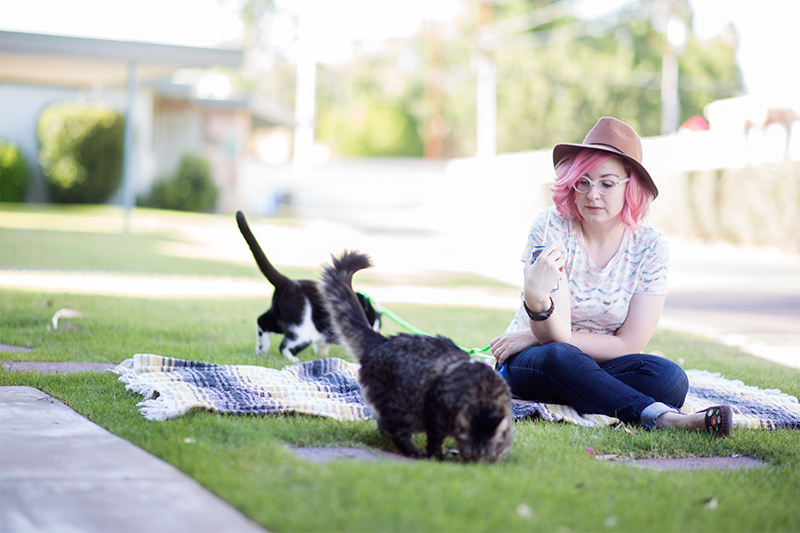 Until then I will beat the heat with one of my favorite pastimes: hanging out on the lawn with the cats on those lovely cooler nights. 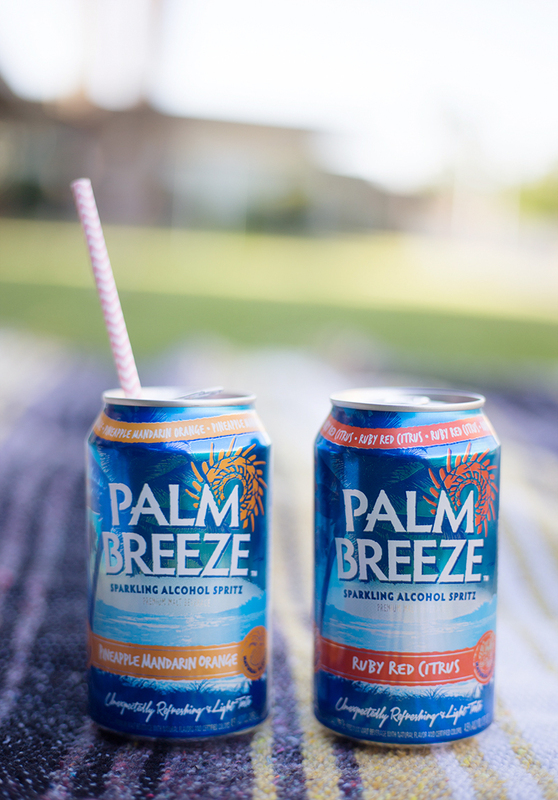 And nothing pairs with some lazy outside time better than a delicious cool adult fruity drink like Palm Breeze! I feel like Palm Breeze was reading my mind when they created these two, Ruby Red Citrus and Pineapple Mandarin Orange, delicious malt beverage drinks. Whenever I want to relax by the pool with a drink I have to hunt down a mixer, which is too much work when it's time to just relax. I go without while my husband sips one of his beers (that I hate). Fruity mixers are totally one of those things that you only think of only when you want a drink, never when grocery shopping, haha. However, these bad boys are the perfect fruity drinks that solve those problems for me. 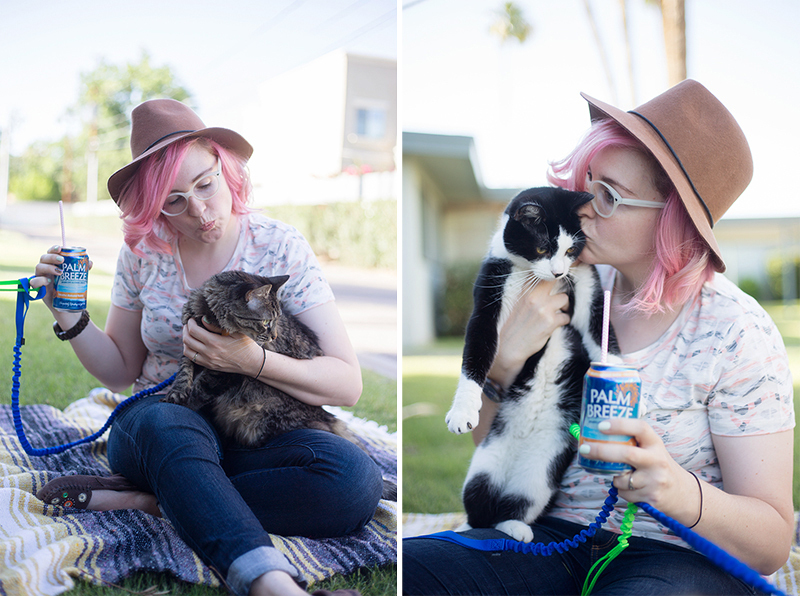 I'm looking forward to hanging out outside more with the cats, or even doing some pool lounging which I know will be happening lots this summer. The best part is you don't have to mix them! My favorite flavor is definitely the Pineapple Mandarin Orange, I'm such a sucker for any kind of drink with Pineapple, but the Ruby Red Citrus is definitely a close second. I think the cats really dig these little outdoor hangouts, so I have a pretty good feeling they will be happening pretty darn often. I can't think of a better way to spend my evenings. 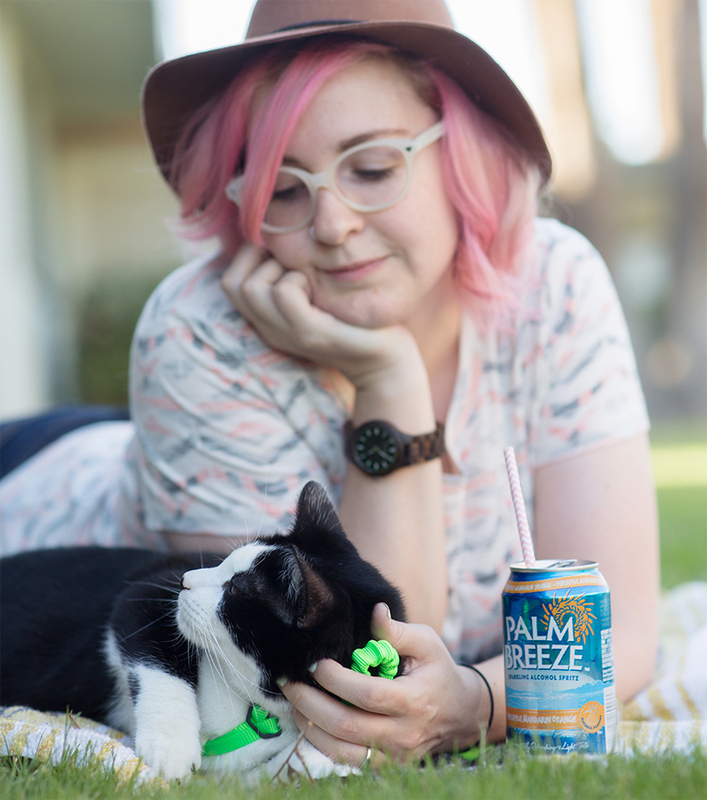 What are some of the ways you relax or spend your weekends during those warmer summer days? PS For all my Dallas readers out there Palm Breeze is hosting a Girl's Night Out party at Blo Knox where you and your girlfriends will be pampered with free tropical beach style blowouts, tasty hors d'oeuvres and Palm Breeze drinks. RSVP here!